A n estimated 10,000 people filled the Walter E. Washington Convention Center in Northwest Washington, DC over five days to hear vital issues facing African Americans and other minorities at the Congressional Black Caucus Foundation’s Annual Legislative Conference. Organizers left no stone unturned during the 48th annual event that featured honorary co-chairs, Senator Cory Booker of New Jersey and Senator Kamala Harris of California. Texas Rep. Sheila Jackson-Lee served as chairperson throughout the conference which tackled such vital topics as infant mortality, the opioid crisis, health disparities, criminal justice reform and much more. Naturally, the midterm elections and the possibility of impeaching President Donald Trump commanded much attention. “We will walk through the storm together and we will be productive together,” said Jackson Lee during the opening news conference that featured the potential 2020 Democratic presidential ticket of Booker and Harris. U.S. Surgeon General Jerome Adams sat for a fireside chat during a luncheon titled, “Protecting the Health, Safety and Security of African American Communities.” “This is about lifting up health for all,” Adams said. Another health disparities forum highlighted Census Bureau statistics which revealed that 54.4 percent of Blacks have private health insurance compared to 75.8 percent of non-Hispanic whites. Further, the data revealed that more Blacks – 43.6 percent – relied on public health insurance like Medicaid, compared to 32.7 percent of whites. What’s more, statistics show that African Americans have the highest mortality rate of any racial and ethnic group for all cancers combined and for most major cancers. 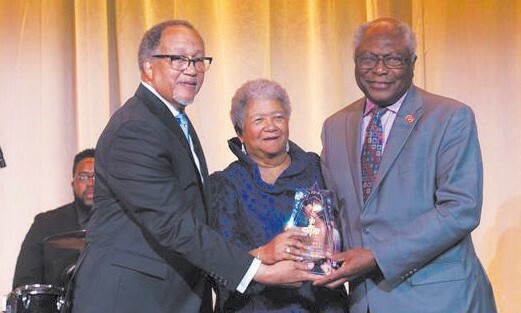 Rep. Maxine Waters of California, who along with Rep. Jim Clyburn of South Carolina and Rep. Al Green of Texas each received the National Newspaper Publishers Association’s (NNPA) Leadership Award, helped to celebrate the hip-hop culture and stole the spotlight. “My friend Jesse Jackson said if you fight, you can win. 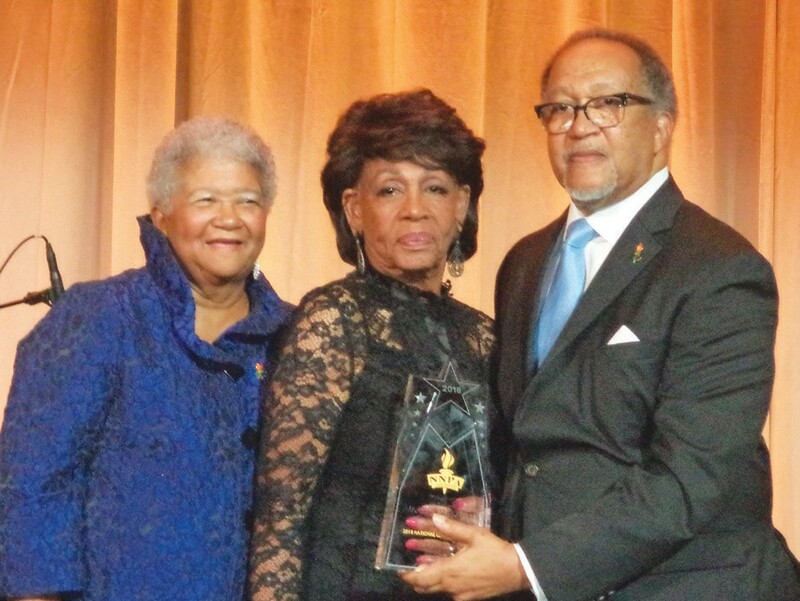 If you don’t fight, you will never know if you can win,” said Waters, who received an NNPA Leadership Award. Trump, who has seen many of his inner circle recently plead guilty to criminal charges and might feel the walls closing in on him, was at the center of impeachment talk. In her typical fiery but still eloquent way, Waters spoke passionately about she and other Democrats mission to impeach the president – though, like many others, she never mentioned him by name but only referring to him as “Number 45.